After shooting this video, I did Yin Yoga and went into a different dimension. It actually felt like I was tapping into DMT in my brain naturally. I started singing visions similar to ones I’d seen during Ayahuasca ceremonies. It was incredibly profound. The visions were coming extremely quickly and were filling me with the most beautiful sense of peace. I was wrapped in the Love of the Universe…experiencing absolute freedom. I seemed to be flying up through dimensions while being solidly rooted in my body on my yoga mat. This lasted for about 15 minutes. Amazing. I decided to skip the Kundalini Meditation tonight. I went to the gym today and did Steam/Dry Sauna. It was wonderful to sweat a lot! My body immediately started sweating instead of the usual 5 minutes delay. I could tell my sweat was different so I’m sure it was ultra cleansing. I came home and did strength yoga which was challenging, but I managed to do it! My body feels strong and supple. I am so grateful. This is the hardest day so far. I have major food cravings and feel a bit weary. My brain is in a fog and my body is really tired. I could easily go back to bed and sleep the rest of the day. My tongue is coated, which is normal when detoxing on this cleanse. I am so glad I have a tongue scraper. If you don’t have one, you have to get one. You will never go back to just brushing without it. I also dry brushed my skin to get any bacteria off of the outer layer of skin and to also stimulate the lymph. I am having a ton of doubt thoughts trying to convince me that I can’t make it to 21 days, but I am just watching them. I know if I grab onto them, it will easy to justify stopping the cleanse. I also know that my body is getting healthy because of the cleanse so I will pay more attention to that. I did the SWF this morning and it started working within 45 minutes with no cramping. My skin is so smooth and my eyes are bright. I feel a blissful calm inner strength. I am so glad I did not listen to my mind yesterday because today I feel such a contrast. I did another challenging yoga and surprised myself again. It was not easy, but I am getting stronger each session. I listened to Love Yourself Hypnosis before bed. I drank Smooth Move tea this morning instead of the SWF. It may have even worked better than the SWF. I woke up smiling. I feel amazing with lots of energy. My stomach is shrinking and I feel so clean. My stomach is flatter and my clothes are fitting loosely. I am down 10.5 lbs but it feels healthy. Although, this is fast weight loss, my skin is toning up. 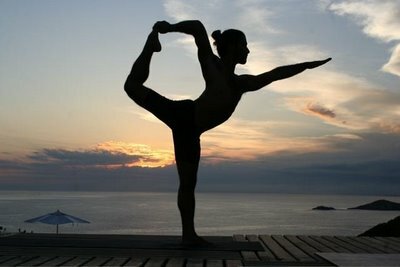 The combination of yoga with the cleanse is essential on many levels. It is making the whole cleanse easier by strengthening my body as well my mind. I have moments of detox but overall, I feel younger and stronger instead of weak and feeble.